The Den is a stunning example of one of these sort-after properties, if you have not heard of these properties before we have lots of info on our Lakes by YOO page so have a read! 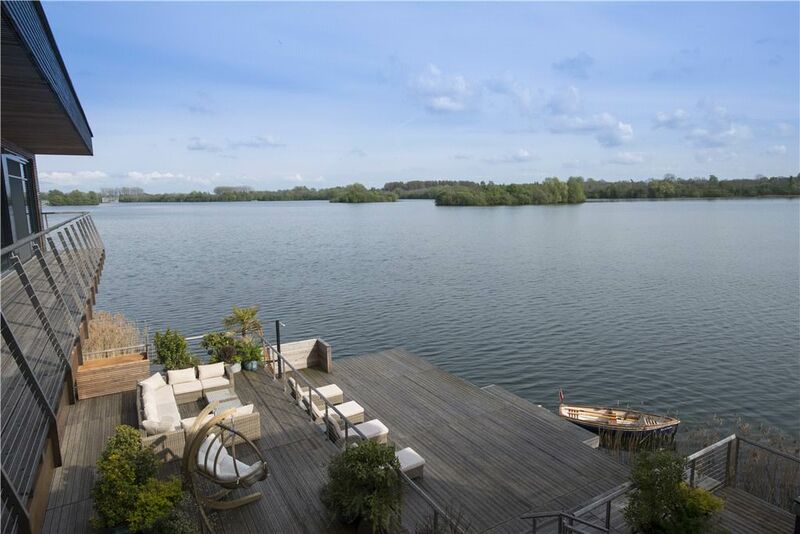 All the properties here are right on one of the lakes, nothing to spoil the views! This property is one of the larger designs called The Villa and boasts 7 bedrooms and a large terrace. Being the largest design does mean the price will also be on the high side. 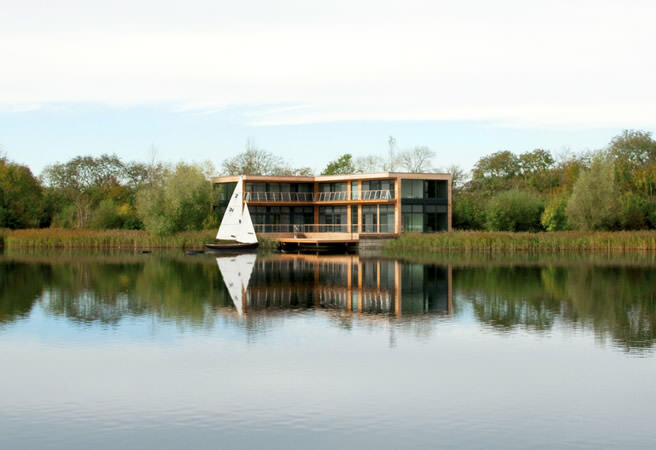 We think this is a good price, they can’t build more properties on these lakes and as it is a gated community close to the M4 and London access the price should always stay high. A word of warning though about Lakes by YOO properties, they are not to be used as your main residence but only a holiday home or weekend home. More on this here. 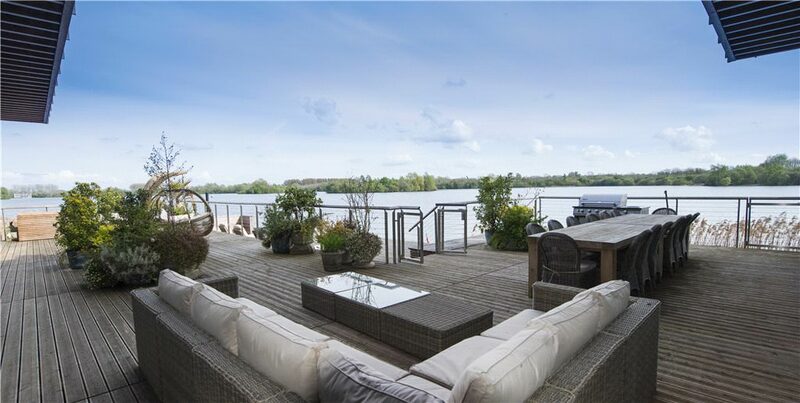 The Den is a beautifully presented, spacious, seven bedroom property, overlooking a clear water lake and surrounded in natural woodland, offering privacy, security and seclusion. One of the largest houses within The Lakes estate, imaginatively designed by Godrich Interiors, this 6,566 sq ft home affords the owner the ultimate in space and light. The property is clad in sustainable timber, which will mellow and silver with age. Created to withstand temperature extremes and climate change, the property has a simple construction that complements the refined comfort within.